We travelled to Poland to visit the country’s largest shipyard, the famous Galeon Yachts. We were invited on board by Maritime Ventures, the official dealers of the famous Galeon Yachts, accompanied by Yiannis Oikonomidis and Konstantina Simoni, heads of Maritime Ventures in Greece. 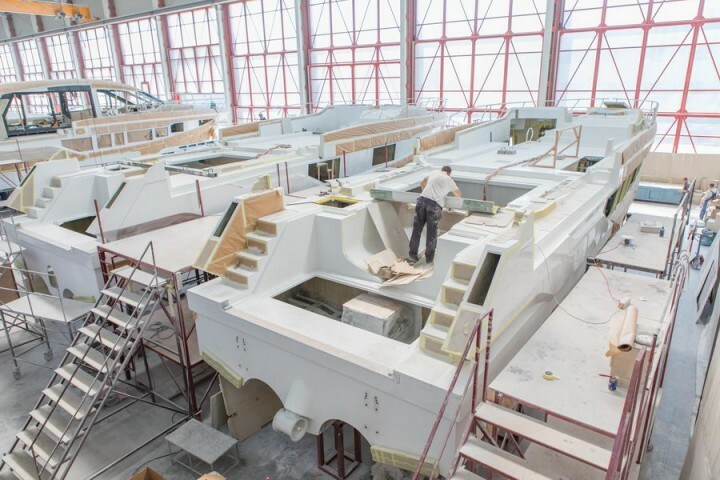 Galeon is one of the most significant shipyards in Poland with brand new facilities and fully vertical production. 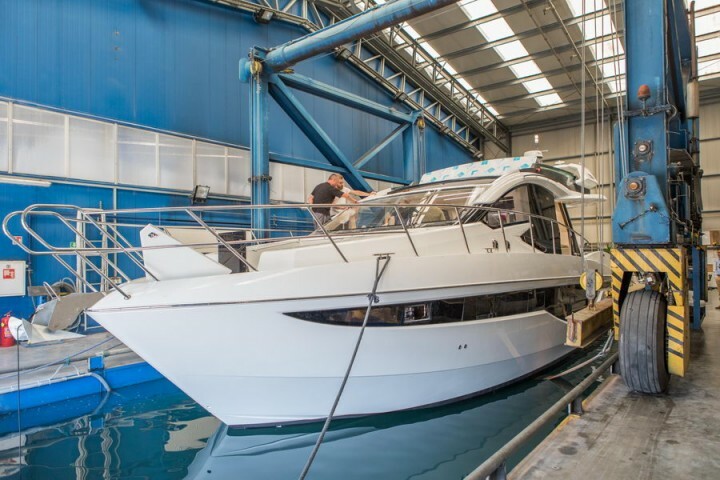 The process starts at the design studio, continues with assembly and sea trials and is completed when the vessel is delivered to the owner. Galeon was established in 1982 and remains a privately owned company specializing in luxury yacht and motorboat construction. Thanks to its clear vision and steady growth, the company currently employs more than 1400 people, working on 18,000 square meters of production and assembly halls, capable of taking on even the most ambitious projects. The new factory has direct access to the Baltic Sea with a private marina that also offers berths for Galeon yacht owners. This division is responsible for all the metal and glass parts mounted on Galeon yachts -from simple screws, tanks and railings to sliding doors, windows and sunroofs. Skilled workers and professional operators use machines like the Waterjet to form the parts in all shapes and sizes. This department is crucial as every yacht is custom built and fitted. From cabinet bodies to handles, worktops and cushions and all the way to beds, sofas and wardrobes – everything is crafted with precision and care. All materials are exclusively constructed with astonishing quality, according to the high standards of Galeon Yachts. The handcrafted furniture adds a finishing touch to the already spectacular interiors. A special mould is created for each model. In this stage the process lasts from 2 to 6 months for the biggest models. The moulds need to be very precise and robust as they may be used up to 200 times before being replaced. All the parts need to seamlessly fit and work together to guarantee the required level of performance, reliability and looks. After the form has been shaped, it is waxed and sprayed with gelcoat, a protective and coloring material. To finish it off, a final layer, the skin coat, is added and the completed hull can be transported to the main production hall. On the yacht assembly hall the hulls have all the necessary equipment installed and tested. All furniture is fitted along with electronic devices, bathroom fixtures and kitchen appliances. The stainless steel elements are mounted here as well as the glass doors and windows. Finally, the heart of every yacht, the engines, are fitted and connected. 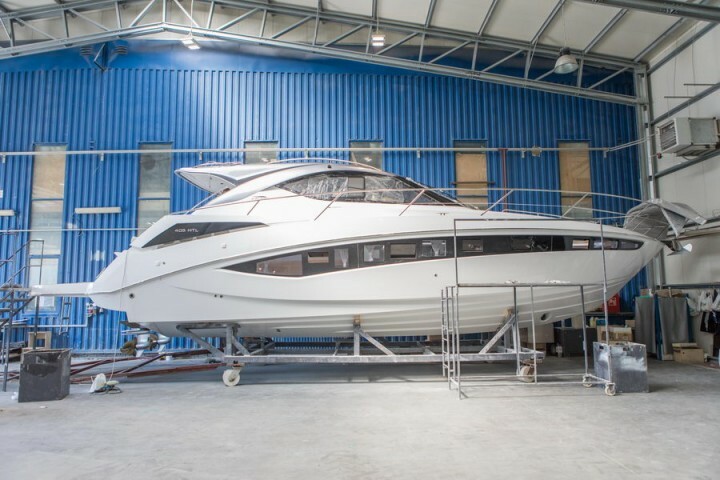 A new Galeon is ready to be tested in the special testing pool. The pool is crucial for checking the hull’s balance and engine performance. The inspectors make sure all equipment is properly fitted and calibrated. The pool hall can simulate heavy rain to make sure all doors and windows are sealed properly. 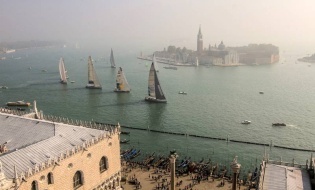 A check-list must be ticked off and approved before the yacht can be tested in the open waters. Those steps help to improve the quality and ensure the final product is up to standards. Maritime Ventures was founded by Constantinos Constantinou in 1992 as the Cyprus dealer of Azimut and SeaRay. Maritime Ventures Greece operates in Greece and Cyprus while it is also actively present in Lebanon via a subsidiary and in Israel through a representative. In Greece, the company is managed by Yiannis Oikonomidis and Konstantina Simoni. Boasting a long acknowledged experience in the sector and exceptional know-how, Yiannis offers comprehensive technical support and repair services to all boats. Konstantina has spent many years in leading companies of the tourism industry. She is the leader of the group, marketing, administration and concierge. Galeon has marked its own course in yacht building. 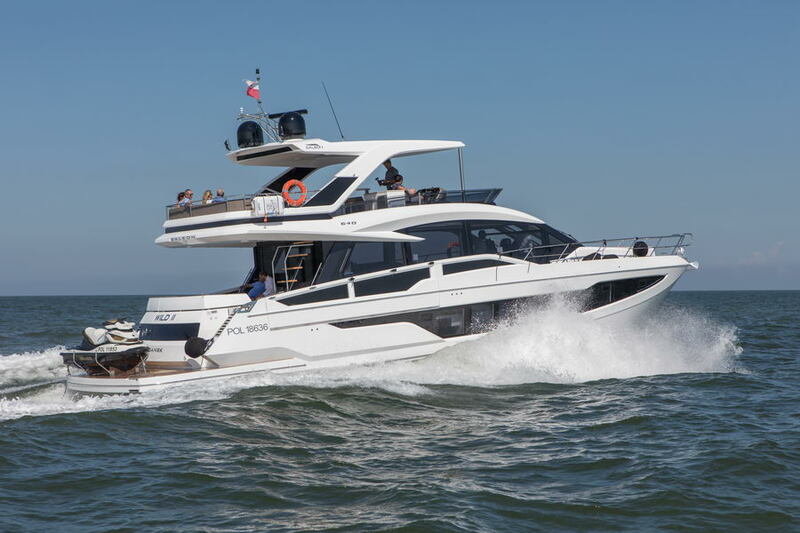 It has had a steady course and admittedly a strong presence in boat shows while it has received several distinctions. Today the yard’s range starts at 30 feet and ends with the innovative and luxurious 780 Crystal. More specifically, the boat range covers many different types including Sport Cruiser, Hard Top, Fly Bridge and Skydeck.